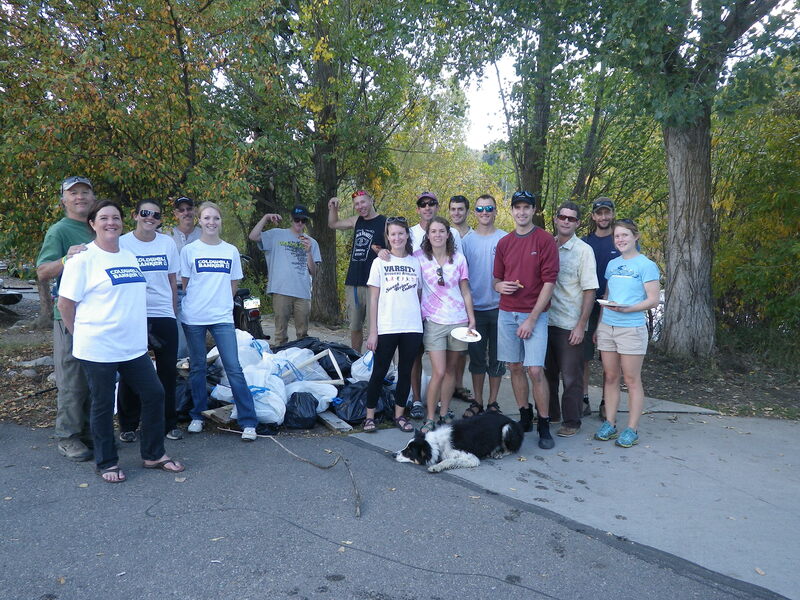 Todays Friends of the Yampa River cleanup was a great success, from 12pm-2pm volunteers from the Steamboat area hit the river for a thorough cleanup. Their efforts help to lessen the impact of summer recreational river use. Afterwards the volunteers gathered back at backdoor sports for pizza and beverages and a raffle. In total todays efforts cleared the river of over 20 bags of trash and other industrial oddities. Friends of the Yampa would like to thank all of the volunteers who came out to lend a hand including participants from Caldwell Banker, CMC Kayak Club and Yampa Valley Science School and also would like to thank the local businesses that donated to the raffle including Boomerang Sports, Cowboys and Indians, All That Jazz, Backcountry Provisions, The Core, Wheels Bike Shop and F.M. Light & Sons. A special thank you also goes to Soda Creek Pizza for providing lunch.